Share Balance and the Traveling Sounds's EPK! Vocals, drums, guitar, and bass have over time been regarded as the grounds for what makes a “typical” band. Couple that with a hip hop producer, an MC, and a saxophone player; the result is a sound unlike much of what we hear today. These guys have pushed themselves beyond the typical, and they go by the name of Balance & The Traveling Sounds. The release of their first album Travel Guide Vol. 1 was on the 19th of March. This 15-track album mixes jazz, soul, hip hop, a bit of funk, and a bit of rock at an even level that’s easy on the ears. The first track, Intro (SoulHipJaFunk), keeps a steady beat on the piano and drums as KIRB, the MC, and Alvin, on vocals, get the listener familiar with the band. During the second half of the song Alvin tells us to “hop on board, take a trip with us, listen up to ’soulhipjafunk,’” giving the listener an idea of what exactly he or she is listening to. Ironically at the end of the song we hear, “soul, hip hop, jazz, and funk? You can’t do that. You can’t mix four genres together.” It’s a clever touch reminding the listener that this is in fact an original sound. Track five, Fell Down, contains traces of the “do it yourself” mindset that was strongly projected by ’70s punk band, The Clash. KIRB mentions during the first half that “the future is only what you choose to bring,” sounding a bit like Joe Strummer’s (The Clash) motto of you make your own future, or “the future is unwritten.” Whether this connection was intentional or not, it still does the job of resounding a deeper meaning within the song. 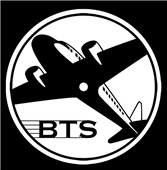 The following track, BTS, plays a trick on the listener. The first ten seconds sound as though it’s going to be another song, but it soon stops and out comes deep-voiced broadcaster. The rest of the track is modeled like a film advertisement, officially introducing the listener to each member of the band and its mission of “suppress[ing] the musical empire of the mainstream.” It’s just under two minutes long and it gives the listener an insight to the humor that lies within the band. It may have had a better affect if it was placed as an earlier track on the album, but that can be debatable. Track 12, Rain, includes samples of the popular hit Rain by Jose Feliciano. The song starts with Feliciano’s “and with every drop of rain you know I love you more,” appealing to older listeners as something many of them are familiar with. Alvin echoes Feliciano’s “and with every drop you know I love you more” in the chorus, sandwiched between original Balance phrases. The track ends with just rain drops, unlike the ending in Feliciano’s Rain, which is a brilliant effect. What starts off a pure Feliciano merges with Balance through out the majority of the song, and then ends with pure Balance; it’s a smooth transition that highlights EBO’s talent as a producer. The final track, Don’t Stop, starts off with about twenty seconds of a misty, almost ’80s, tune. Alvin comes shortly after, bringing us back to the soul we’re so familiar with. His “don’t stop, don’t stop the music, it’s the only thing that gets me by” is a smart move on Balance’s part as it is universally relatable to music fans of any genre. It also serves as a paradox, as it’s spoken during the final track of the album, perhaps as an indirect message to the listener that although he or she has reached the end of the album there’s always the option of playing it once more. 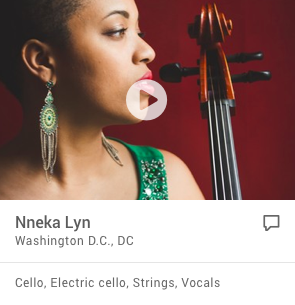 Fusing Hip Hop to Jazz to Neo Soul to Rock and everything in between, Balance and the Traveling Sounds are just what they say they are; “balanced”. The group is the evolution of live instruments meeting hip hop sampling and beat making laid over raw lyrics and soulful vocals. The music speaks for it self, relaying a revolutionary message of uniting all cultures and musical backgrounds together. Each member has a truly unique character about them and brings a truly unique quality to the band. KIRB (MC), EBO (beats), Alvin (vocals) Julian Hogan (drums), Jeff Kolhede (sax), Ryan Kern (guitar), and Blake Estrada (bass) make up the new Soulhipjafunk sensation, BTS! 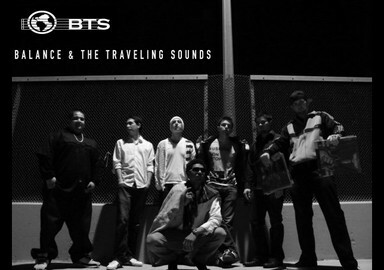 From Ryan’s killer guitar riffs to Jeff’s amazing Sax solos to Blake’s throw down bass lines to KIRB’s inspiring lyrics to Alvin’s soulful heartfelt singing to Julian’s extraordinary timed drumming over EBO’s vision of a hip hop beat, BTS is defining themselves as a hip-hop, jazz, funk, and soul band like no one has ever done before. "Our Traveling Sounds are Pleased to Meet You"
Our set lists vary depending on the gig. We currently have over 15 original songs to play through in one or two sets. Our repertoire of covers includes songs by artists like Too Short, Daft Punk, Dr Dre, and Outkast, when appropriate.